WELCOME TO ACTS OF VILLAINY! Acts of Villainy: Solos is a semi-weekly spotlight on villains created by Sketchpad Studios. Every release will focus on a new, creepy, wicked, vile, murderous villain for enjoyment in your new or existing adventures! Pit your heroes against these baddies, and enjoy endless hours of adventuring! Once an agent for good, an accident robbed Yves Cartier of his heroism and transformed him into the cold hitman known as Headshot! A gun-for-hire, he now travels the world, working for those that can afford his deadly skill set. 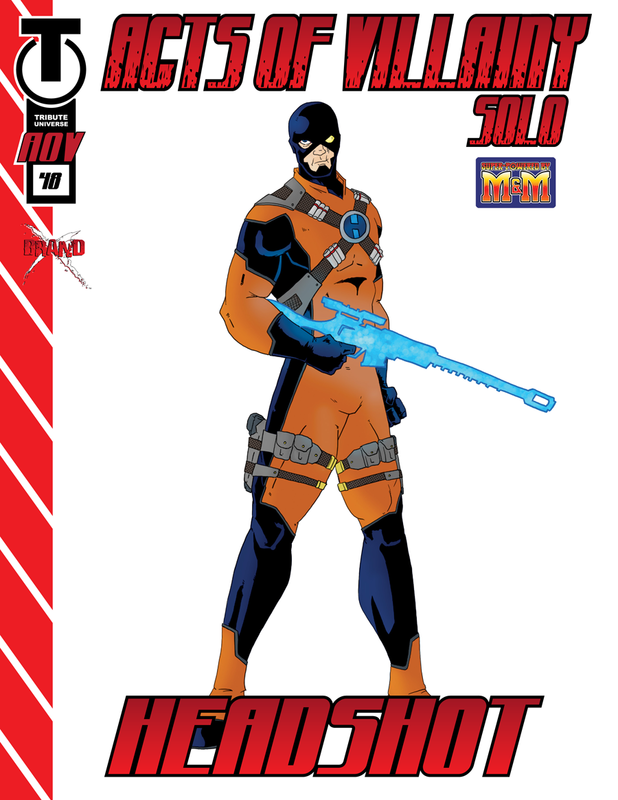 Headshot, only in Acts of Villainy: Solo #48 and only only 99¢! Introducing the "Brand X" imprint of Xion Studios! Under Brand X, we will publish third-party authors & creators who provide quality content and are looking for a publishing platform from which to operate. Creators retain all of their rights to their creations, and benefit from Xion's publishing connections. Best of all, fans get more quality merchandise to enjoy!